Blue Trendy Themed Cotton Oven Mitt, Microfiber Kitchen Towel, Pot Holders. 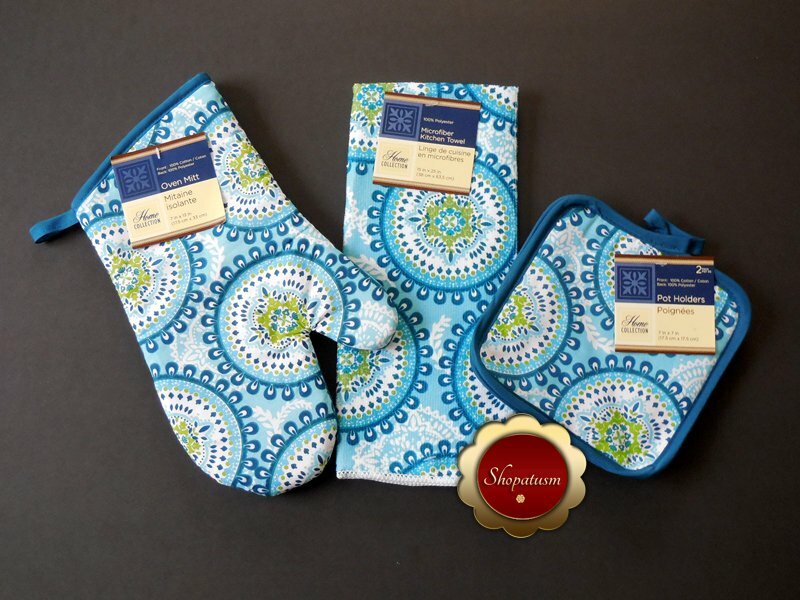 This is for 4 Blue Trendy Themed kitchen set that includes 1 Oven Mitt, 1 Microfiber Kitchen Towel and two Pot Holders. The oven mitts will help protect your hands from dangerous burns and keep your kitchen stylish in the process. Each cotton oven mitt is 13" which are generously sized, so almost every hand will fit.